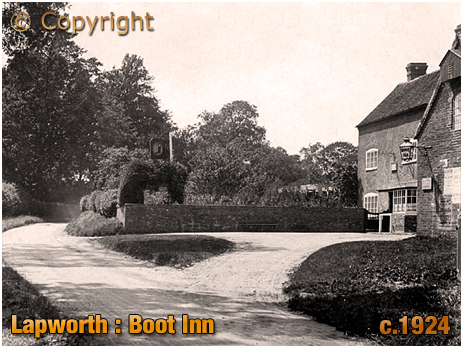 History of the Boot Inn at Lapworth in the county of Warwickshire. 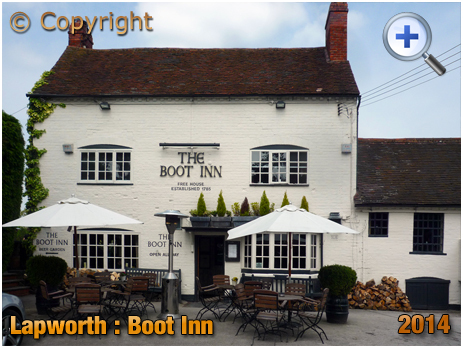 The Boot Inn is located on the old Warwick Road, close to the Lapworth Lock Flight on the Stratford-upon-Avon Canal, regarded by many to be one of the most interesting flight of locks on the English Waterways. Cutting of the canal commenced following an Act of Parliament passed in March 1793. However, the waterway did not reach Kingswood until 1802. I mention this early on in the history of the Boot Inn because it invalidates any notion that the canal was the reason for a public house to be built in this location. When I took this photograph of the Boot Inn during May 2014 I noticed that "established in 1785" was painted on the wall above the front door. However, it would appear that the pub was in existence a little before this date. The road passing in front of the property was part of a route between Hatton and Hockley Heath and an Act of Parliament for the turnpiking the highway was passed in 1767. Of course, the road had been in existence before this time but a formal turnpike route with an improved road surface brought more traffic through the parish and a tavern to serve the needs of the traveller was a lucrative business opportunity for an existing farm house engaged in the production of malt. The cutting of the canal in later years was an added bonus for early publicans of the Boot Inn. The route of the turnpike was of great importance for the establishment because, prior to the Act of Parliament, travellers had a choice of two roads to reach Warwick. Of course, a choice still remained but travellers would, despite the toll charge, favour the road improvements made to the turnpike. From Hockley Heath, the turnpike followed the route to Kingswood, Rowington, Shrewley and Hatton. The alternative road to Warwick followed a more southerly route along Lapworth Street to Lowsonford and Pinley Green. Those not wishing to pay the toll would still toil along this higgledy-piggledy road. The improved highway was probably the reason for the conversion of a farmhouse into a roadside tavern, though it may have existed earlier. If you are looking at the exterior photographs and have not ventured inside the Boot Inn you may not be aware that it is an old timber-framed property that was later encased in brick. The building possibly dates from the 17th century and I have to duck to avoid banging my head on the interior timber beams and low door frames. The main agricultural concern in this part of Lapworth was the rather pongy [in summer at least] Tanhouse Farm on the opposite side of the Old Warwick Road. A tannery was operated here by Humphrey Shakespeare who occupied the moated house owned by Thomas Mason. The Tan House dates back to the early 16th century. Making improvements to the tan yard and erecting new buildings, the Overton family were running the tannery in the early 18th century. The business was later operated by John Grafton who also assisted the parish constable. Robert Catesby, the leader of a group that planned the failed Gunpowder Plot of 1605, once held the Manor of Lapworth, which later passed to Sir Edward Grevill of Milcote. He sold to Sir Thomas Holte of Aston Hall near Birmingham. I mention this because Heneage Legge, a descendant of the family held the manor when the Boot Inn was mentioned in a manorial court of 1784. Indeed, the court was held at the public house, underlining the importance of the tavern within the local community at this time. All tenants were expected to attend such gatherings so it was good business for the publican! Mary Bott was recorded as the tenant of the Boot Inn during this manorial court held on October 19th, 1784. The sign of The Boot rose in popularity following the Duke of Wellington's victory at Waterloo. Inn signs emerged depicting the long military boot favoured by Arthur Wellesley. Covering the knee at the front and cut away behind, Arthur Wellesley will always be associated with the introduction of this type of boot. However, although this pub has used an illustration of this footwear in the past, the Boot Inn pre-dates the Duke of Wellington's military exploits. Although conjecture on my part, I suspect that the sign here followed the tradition of roadside taverns in that travellers boots would be attended to whilst resting on their journey. Moreover, the boot sign was often used to indicate a welcome to all visitors regardless of class or rank. Mary Bott died in 1787. In the same year the name of Edward Field appears in the jurors list for Lapworth and, as he is recorded as a victualler, it is likely that he succeeded her as licensee of the Boot Inn. Certainly, his name appears next to records of the Boot in later years. 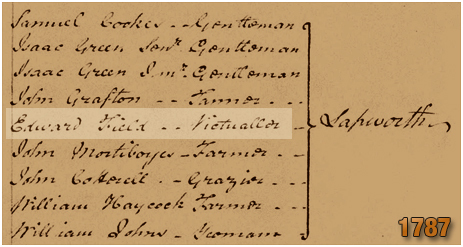 In the same list William Johns is shown as a yeoman. Living and operating Street Farm, he was a keen diarist of life in Lapworth and his accounts record a loan given by him to Edward Field. This may have been due to the harsh winters of 1799 and 1802, a period in which many tenants struggled to pay their rent and expenses. Edward Field was a freeholder as indicated by the land tax returns of 1895. He was also a tenant of Spring Cottage Farm. Edward Field was the publican of the Boot Inn when the canal was excavated to the rear of the pub. Although work on the waterway was started in November 1793 at King's Norton, work came to a halt three years later at a point between Hockley Heath and the Boot Inn. The Canal Company had exhausted the capital raised through the sale of shares when the project was launched. Consequently, a further Act of Parliament had to be passed in 1799 to raise the capital in order to forge on to Kingswood Junction. This was achieved in 1802. However, it was not until June 1816 that the southern section to Stratford-on-Avon was completed. 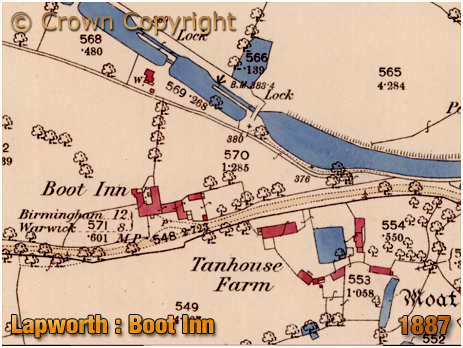 Undoubtedly the Boot Inn sold plenty of beer to thirsty navvies digging out the navigation. The section to the rear of the Boot Inn would have been expensive to construct as it features an extended run of locks. The legacy is that this is a particularly attractive part of the canal with nine locks spaced only a few yards apart. An interesting feature of this canal are the cast-iron split bridges. They are built in two halves with a one inch gap that allowed a towing line to pass through without having to be disconnected from the horse. 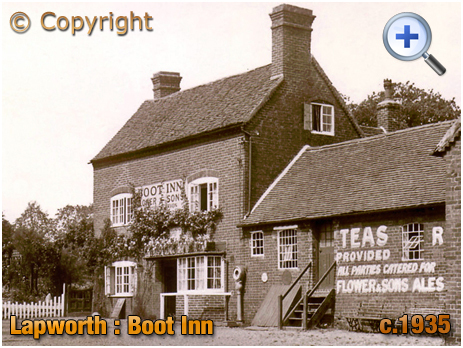 The licence of the Boot Inn was transferred to Charles Aldington in 1806. He was recorded as a farmer and publican, tangible evidence that the Boot Inn formed part of a larger enterprise in agriculture. Although he would become a landowner in the parish, he did not acquire the Boot Inn. The freehold of the pub was sold by Edward Field to Richard Lea by 1810 whilst Charles Aldington was tenant. The farmland associated with the Boot Inn was modest at around 18 acres. Charles Aldington gradually added other land to his personal estate and by the time of his death in October 1835 his holdings included over 30 acres of land for himself, five pieces of land in the hamlet of Nuthurst and parish of Beaudesert let out to Nathaniel Vyse, a piece of land occupied by John Bradbury and three pieces of land occupied by John Kirshaw. Owner of the property, Richard Lea did hold the licence for a couple of years. He kept the Boot Inn with his wife Martha [née Babington]. The couple had married in November 1798 at Tanworth-in-Arden. In 1827 the Lea family sold a part of their interest in the Boot Inn, along with other local land and property. The advertisement for the auction shows that Richard and Martha Lea had invested in the property. The notice states that the Boot Inn featured a "newly-erected and well-arranged malthouse," suggesting that the roadside tavern had been producing its own malt from barley grown on the farm for some years. The auction also included the Wheatsheaf at Nuthurst, a hostelry kept by Robert Rainbow. In fact, the auction was held at this house. 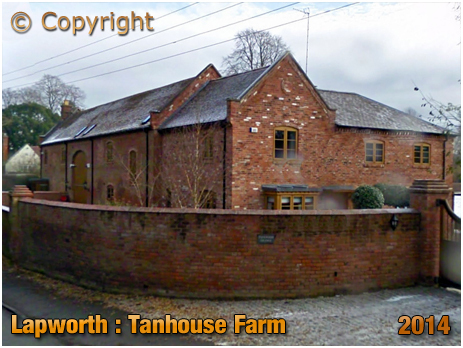 Other lots included a farm at Monkspath Hill in the parish of Tanworth-in-Arden, along with a house and five acres of land at Drake's Cross in the parish of King's Norton. Only a sixth-part interest was being offered which is curious. I wonder if it was a legal separation. 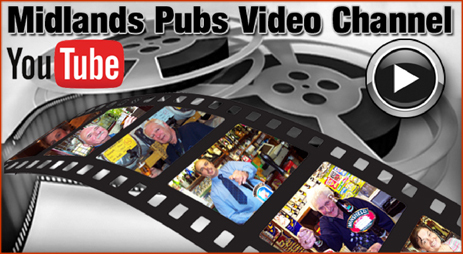 At this time a Richard Lea emerged as licensee of the Saracen's Head at King's Norton. Was this the same Richard Lea? Wow! 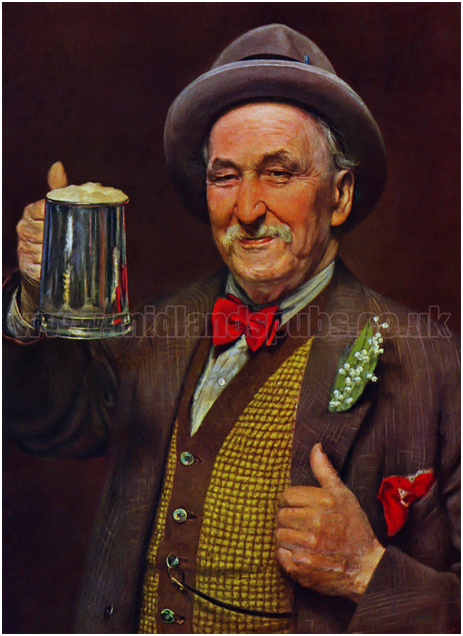 A photograph of a publican from a really early period. Photography was still going through experimentation with a variety of processes when this image was captured. 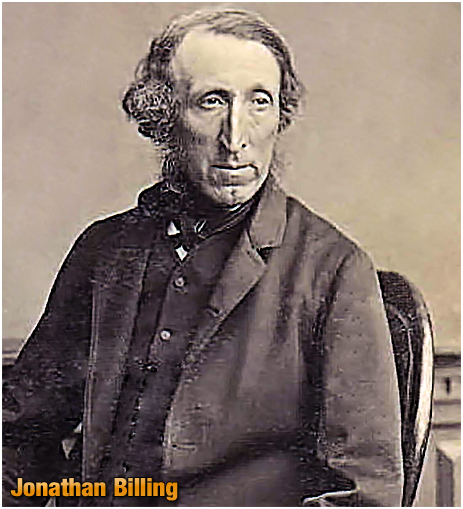 It shows former publican Jonathan Billing when he was an elderly gentleman. Many thanks to T. Kilcline of Arizona for sharing this photograph. Jonathan Billing was born at Beoley in 1791 and married Bromsgrove-born Rebecca Rose at St. Martin's Church at Birmingham in December 1811. Taking over the licence in 1821, the couple kept the Boot Inn for many years and also worked the farm. There was help in the family as there were six children, mostly in their teenage years, living at the pub in 1850. The couple also employed Mary Smitton as a servant. Jonathan and Rebecca Billing kept the Boot Inn during a halcyon period of the pub's timeline. The road to Warwick was providing regular custom and trade on the Stratford-upon-Avon Canal was buoyant as competition from the railway had not yet emerged. There is no evidence to suggest that the Boot Inn served coaching traffic. The principal house for changing horses, accommodation and mail was the Hockley House at Hockley Heath as this was close to the junction of the turnpike roads to Warwick and Stratford-on-Avon. Other services such as a smith and wheelwright seemed to be offered at the Bell Inn by Joseph Green and William Rose respectively. The Boot Inn did, however, benefit from the sale of victuals and refreshments. Another source of revenue was from commission through auction sales held at the Boot Inn, particularly for heavy products that could be easily transported from the wharf close to the pub. Auction sales for timber often appeared in local and regional newspapers. Unfortunately, gravel was also extracted from the site of the iron-age Harborough Banks earthworks on the other side of The Tanhouse. Some of the gravel was used locally, particularly in the sub-surface of the turnpike road, but aggregate was also transported along the canal to other towns. Jonathan and Rebecca Billing made the decision to concentrate on agriculture and moved to a 56-acre farm at Earlswood in the parish of Tanworth-in-Arden. Together, they did well for themselves. Perhaps with a good start in life, some of the their children did even better. Mind you, Jonathan and Rebecca had 12 children so I guess the law of averages means that a few of them had to prosper. The couple's eldest son, Martin Billing, enjoyed a hugely successful and prosperous career as a printer and paper manufacturer in Birmingham. First apprenticed to his uncle James Baldwin, he developed the company through his years as a commercial traveller. He took over the printing business in Newhall Street where he introduced the first steam printing machine in the town. The firm published a newspaper, journals and trade directories but the success of the business was largely through accounting books, ledgers and business stationery. Martin Billing also operated the Tibberton Paper Mills near Newport. When the printing works were erected in Birmingham's Livery Street in the mid-1850s it was one of the largest in the country. When Jonathan Billing died in 1865, his wife Rebecca left the farm at Earlswood and went to live with her son's family. 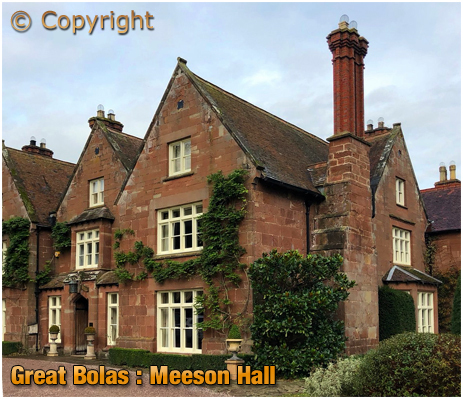 Henry Billing had bought Meeson Hall at Great Bolas in Shropshire. She enjoyed great longevity and died in January 1884 just after her 91st birthday. She outlived her son who passed away in July of the previous year. Martin Billing left a personal estate of £40,725.6s.5d. which was a colossal sum of money - it is heading towards £5m in today's money, not bad for a publican's son! Another son, Henry Billing, who had worked in the family printing business and lived at Catesby House and Oakhurst in the parish, set up a trust at Lapworth. By his will proved on June 18th, 1912, he bequeathed £500, the income to be distributed by the trustees of the Lapworth Charity Estates in gifts of blankets and coals to deserving poor of the parish irrespective of creed. Sounds worthy until one learns that his personal estate amounted to £63,540.7s.3d. He did leave other small sums: £100 to the Birmingham Eye Hospital, £100 to the Birmingham Ear and Throat Hospital, £100 to the Birmingham General Dispensary, and £25 each to his "old and faithful servants" including his coachman Mr. Henry Cross. Succeeding Edward Chambers, Charles and Mary Wagstaff were running the Boot Inn during the early 1850s. They lived at the house with two young daughters, Jane and Mary, and employed two live-in servants; Charlotte Cox and William Burbury fulfilled tasks in the household and on the farm. At this time the lock-keeper's cottage behind the pub was occupied by Edward and Mary Wood. In November 1860 John Holbeche, a land agent from Birmingham, held a meeting inside the Boot Inn regarding the enclosure of Harborough Banks in which he invited local inhabitants to tender claims for any common land or any other right or issue as a result of the action. Licensee of the Boot Inn during the early 1860s, William Buckley was documented as a farmer of 20 acres, publican and maltster. The fact that another maltster by the name of Thomas Hanson was living on the premises suggests that the farm of the Boot Inn was producing malt for other publicans rather than simply for the requirements of the Boot Inn. 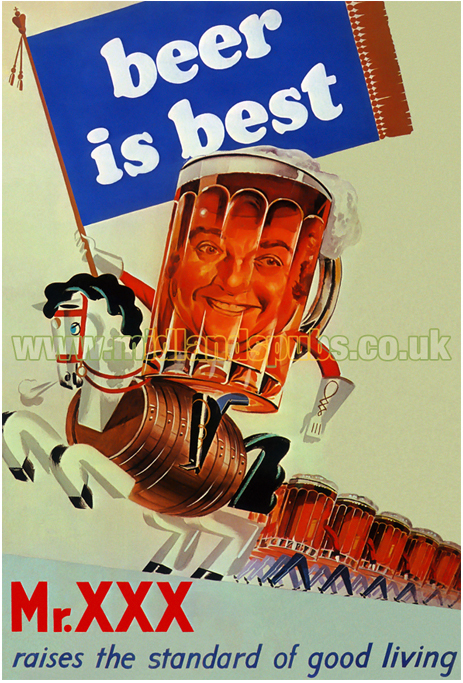 It is not clear if William Buckley also brewed the ales sold in the public house, or whether a travelling brewer called at regular intervals to bring some expertise to the production of homebrewed ales. This was a period when very little science was applied during the production of ales. However, travelling brewers were often deployed to avoid some of the pitfalls of poor technique and contamination. William Buckley was born in Tanworth-in-Arden in 1815. He married Mary Anne Chambers near her home at Solihull in June 1838. Whilst the couple were running the Boot Inn, there seemed to be an increase in the number of auctions held on the premises or in the yard, mainly for land and cottages in the local area. In what was possibly remembrance or celebration of the family's heritage, the sons of former tenants, Jonathan and Rebecca Billing, chose the Boot Inn as the destination of their company's annual picnic in August 1866. This was when the firm had premises in St. Paul's Square in Birmingham. Although the trip was held in August, a report of the event stated that the weather "was unusually fine." It was stated that "the excursionists enjoyed themselves amazingly." After tea, to which sixty people sat down, "the customary songs and speeches were indulged in, and the health of the firm, to whose liberality the party was in a great measure indebted, was drunk with great enthusiasm." 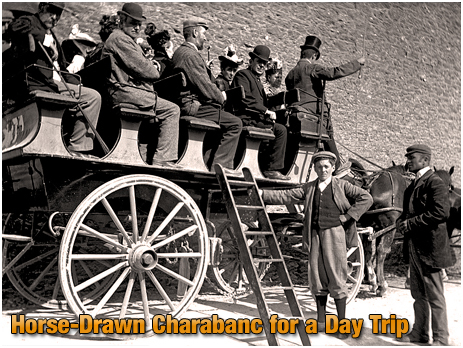 Day trips and works outings became a common event in the calendar of many large businesses during Victorian times. They were a highlight of the year for some employees, particularly those in large towns who had little opportunity to escape to the countryside for gratis. Of course, it was not all altruism on the part of the business owners as such trips fostered loyalty to the firm and cultivated an increased work ethic within the workplace. As transport networks improved during the 19th century, many large firms booked special trains to convey their workforce to the seaside, but in the 1860s workers were content with a day trip to a destination such as Lapworth. The canals and reservoirs were as attractive in Victorian times as they are today. In 1862 there was an incident that emphasised the fact that the canal, whilst being aesthetically-pleasing, could still present a dangerous situation, particularly after enjoying a tipple in one of the pubs. In May 1862, an inquest was held at the Boot Inn before Thomas Hunt, the deputy-Coroner, on the body of a young man, named George Simonds, whose father lived in the village of Bidford, who was employed as boatman on the Stratford-upon-Avon and Birmingham navigation. George Simonds had apparently been last seen alive about eleven o'clock in the evening of Saturday May 17th, when he was coming from the New Inn at Rowington towards Austerton Lane. On the following morning, at about half-past six o'clock, his body was discovered in the canal near Lapworth. 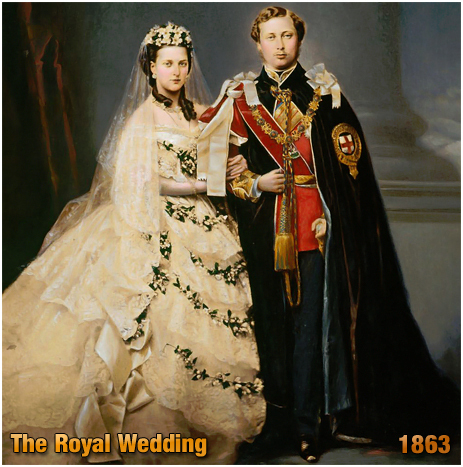 In March 1863 Royal Wedding fever hit Lapworth, and the Boot Inn became one of two centres of patriotic celebrations when the Prince of Wales was married to Princess Alexandra of Denmark. A contemporary report stated that Lapworth, being a widely scattered parish, "laboured under disadvantages in any attempt to unite the parishioners in festivities." The reporter stated that the parish, being not overly wealthy, had no room large enough to "accommodate so many as naturally wished to meet and celebrate the marriage of their future king." The article went on to say that the parishioners "determined to do its little possible in testimony of its loyalty. A substantial dinner of roast and boiled beef, with plum pudding and copious ale and tobacco, was provided in the rector's barn from funds subscribed by the principal parishioners and landowners. Around 150 of the poorer parishioners, men and women, "dined together with very evident heartiness and enjoyment, and found plenty of work for those gentlemen and ladies, not of the working classes, who officiated as carvers, tapsters, waiters, and servants of all work." 120 school children were supplied with tea and cakes. The bells rung, and a band played, and all went as merrily as a wedding day ought to go. In the evening most of the gentlemen who had assisted at the festivities dined together at the Boot Inn, and afterwards set fire to a goodly pile of thorns, fagots, tar barrels, and other combustibles that had been gathered in the weeks before the wedding. Talking of fires ... in the 21st century the field adjoining the Boot Inn has been the location of the village bonfire in November. William and Mary Anne Buckley seemingly became dab hands at laying on a spread. On July 1st, 1865 they were hosts to another large works outing described as the "annual feast of the workmen and employers of Messrs. Smith and Hawkes, based at the Eagle Foundry in Broad Street, Birmingham." The party arrived at the Boot Inn where 120 sat down to dinner and tea. The day was spent in the field playing cricket and football, along with dancing to a band taken with them. In what was a glowing reference to William and Mary Anne Buckley, "The viands and catering of mine hosts was of the best description; and one the most enjoyable days the party ever had was spent." The party returned to Birmingham in the evening via the Great Western Railway. Lapworth had become such a popular destination for Brummies, in the summer season of 1870 J. Cooper operated an omnibus with four horses from the Lamp in Bull Street to the Boot Inn at 2.15 every Sunday. His fare there and back was 2 shillings. The boost in trade for the Boot Inn was significantly more! In later years William and Mary Anne were helped by nephew Edward Moore. This may have been because of the failing health of William Buckley. The census of 1871 is the first indication that the hostelry was taking advantage of its status as an inn because three people were lodging on the premises. It is interesting to note that two of the guests were from Birmingham, Philip Taylor working as a clock jeweller and John Martin engaged as a metal worker. Did this mark the period when people started to commute into Birmingham from villages well connected via the railways? "After a long and painful illness," William Buckley died on March 30th 1873 at the age of 58. The licence of the Boot Inn passed to widow Mary Anne. With the pub and the farm to run she had her hands full - hence the advertisement for a "Good General Servant," the skills of whom indicates that a small dairy operation was being conducted at the Boot Inn. 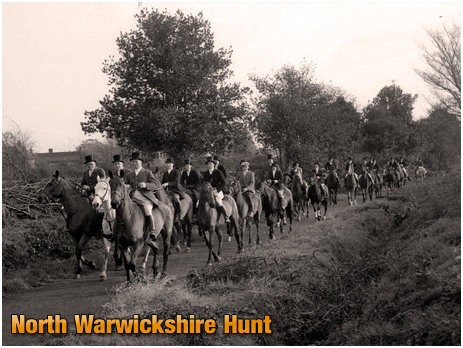 Throughout much of its history the Boot Inn was one of the most popular meeting places for the North Warwickshire Hunt. I have read a few reports on such events around Lapworth and was pleased to see that the local foxes were rather canny at avoiding the hunt. Moreover, I was amused to read that, on some occasions, there were lots of empty saddles at Bushwood Orchards as riders running into the apple trees were pulled off their steeds. In April 1878 the canal claimed the life of another man who had been drinking. John Staples, a local man, was found drowned in the lock at the back of the Boot Inn. 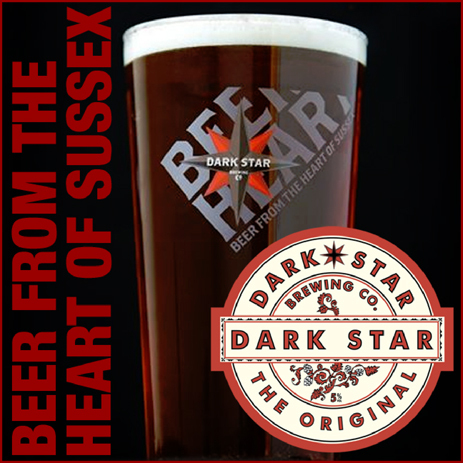 It appeared that he had called at the Boot Inn for a pint of beer and when he left the pub the sky was pitch black. In trying to find his way home it was supposed that he fell into the lock. In June of the same year an inquest was held at the Boot Inn, on the body of Charles Redding, the five-year-old son of Edward Redding, a boatman of Stratford-on-Avon, who was found in the canal by Thomas Hammond. The lad's father, on being examined by the Coroner, stated that his boat was laying at Lapworth on account of a stoppage in the canal. He missed his boy about 5 o'clock in the afternoon, and on making inquiries found that he had drowned in the canal. A boatman named Thomas Court had seen the lad, along with other boys catching fish. He saw him running towards his father's boat, but soon after spotted his cap floating on the water. The lock-keeper was told and he immediately dragged the canal and found the boy's dead body which was taken to the Boot Inn. A policeman searched the boy's clothes and a fishing line and three small fish were found in his right-hand pocket. 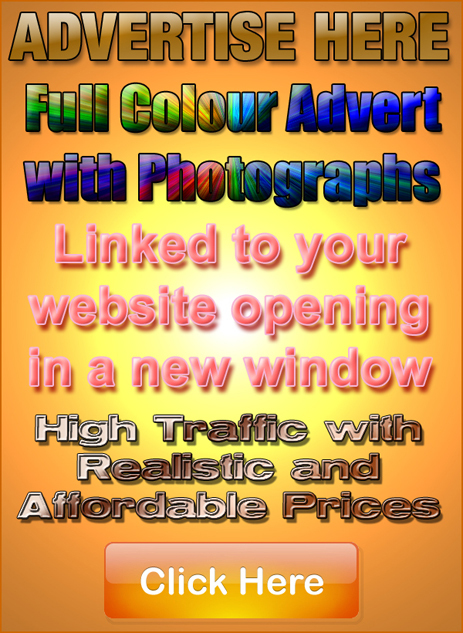 The above advertisement is an example of the type of auctions that were held at the Boot Inn during the Victorian period. 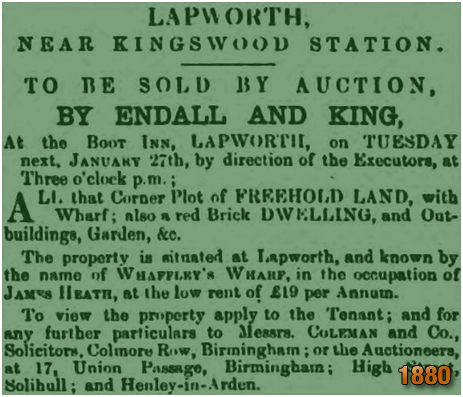 In this auction, that was held on January 27th 1880, a property known by the name of Whaffley's Wharf was being offered. The property was, at the time of the sale, occupied by the coal dealer James Heath and his wife Agnes. Birmingham-born Thomas and Clara Nicholls were mine hosts at the Boot Inn during the early 1880s. Compared to previous occupants running the place, they were a relatively young couple. I suspect that this is the period when the occupants of the Boot Inn were simply running a pub and not the farm linked with the business for so many years. The 1880s can only be described as a troublesome decade for the Boot Inn. The house became quite notorious with drinkers. However, the Boot Inn was probably regarded as disreputable by the police and local authorities. It all seemed to start with Thomas Nicholls, a sporting and betting man with a penchant for prize-fighting. The field adjoining the Boot Inn was the venue for a number of illegal battles which, when stopped by the police, generally ended in mayhem and near-riot. In January 1881 Thomas Nicholls was one of a number of men who were charged at the Henley-in-Arden Police Court with committing a breach of the peace by engaging in a prize fight at the Boot Inn on December 17th 1881. The police attempted to get into the ring to stop the fight but were prevented by the large crowd. The fight went ahead for a time, after which the crowd went into the Boot Inn for beer before resuming the battle at Marston Green. It was reported that most of the crowd originated from Birmingham, London, and Leicester, suggesting that the covert publicity for the fight was pretty effective. The local police probably got wind of the clash as Thomas and Clara Nicholls, hosts of the Boot Inn, had put up one of the fighters and his trainer during the days leading up to the event. Click here to read the newspaper report detailing events surrounding this prize fight. There were other prize fights at the Boot Inn, the most notable contest being that between the Birmingham-born fighter Frank Murphy and Jem Walder, for a mere £20 purse. 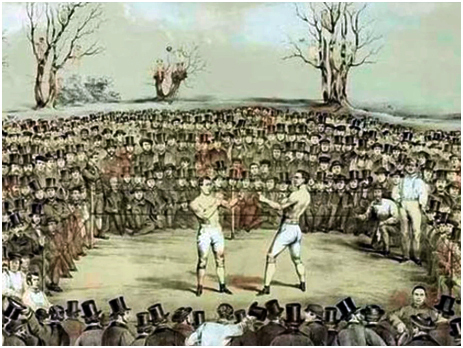 The fight was in the old style [bare-knuckle], but it still took Murphy 57 minutes to defeat a clever opponent - this was still relatively quick as some unregulated contests could go on until one fighter was exhausted. 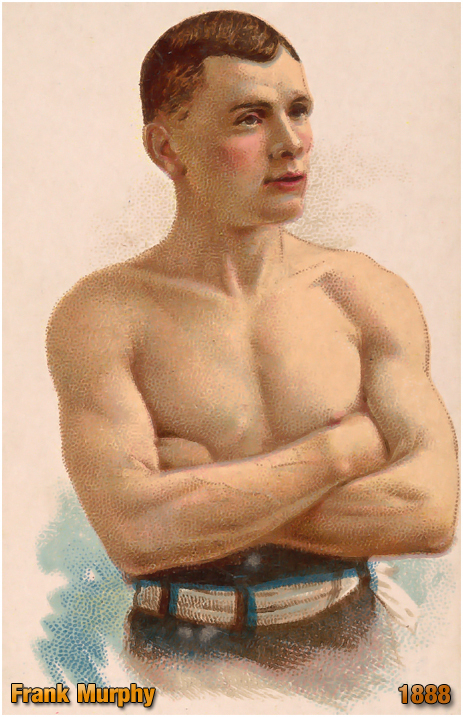 Frank Murphy became a legend in the ring and conquered the United States. Click here to read about his life. In addition to pugilism, Thomas Nicholls staged a wide range of sporting events at the Boot Inn, often with cash changing hands. The publican was hauled before the magistrates at the Henley-in-Arden Petty Sessions held in August 1881 when he was charged by the police with allowing betting on his premises. Mr. Cheston, Birmingham, appeared for the publican. Police Constable William Hayes, Aston Cantlow, and P.C. Whitlock proved the case. Albert Shipway was called as a witness for the defence. Thomas Nicholls denied allowing betting. Mr. Cheston, addressing the Bench at some length, said that the police officers failed to prove it was defendant's premises, and that one officer said the landlord was sitting on a bench, while the other officer said it was a tea-chest, and that he himself visited the premises, and he could see it was utterly impossible for any betting to be heard from where the landlord sat with the police. I imagine that the solicitor's pedantry exasperated the Bench who found the publican guilty and fined him £1. and 16s. 6d. costs. In January of the following year Thomas Nicholls was again summoned for allowing betting to take place at a pigeon-shooting contest in a field attached to the premises. P.C. James Powell said he was on duty in plain clothes at the event for which an admission charge of 6d. was paid by around 100 people. The policeman told the magistrates that he witnessed bets being made, some on the gun and others on the bird. Thomas Nicholls again protested his innocence but the Bench did not buy his defence and fined the publican for the second time in a matter of months. 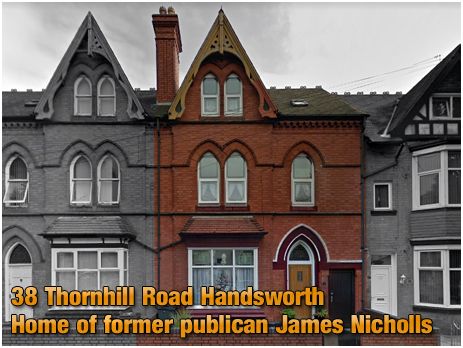 Thomas and Clara Nicholls had two children in Lapworth but moved to Handsworth, perhaps because the publican feared his licence would be refused if he remained. The family first lived in Terrace Road but moved to a larger residence in Thornhill Road by the turn of the 20th century. The two daughters, Amanda and Lizzie, who had been born in Lapworth had both found jobs in the Assay Office in Birmingham. By this time Thomas and Clara had three more children, Leonard, Thomas, and Clara. Following the death of the former licensee, Clara Nicholls moved to Catherine-de-Barnes where she lived with her two youngest children at Marie Cottage, a property which still stands in Bickenhill Lane. William Thomas Clark was at the Boot Inn by 1885 but in December of that year he was in financial trouble and had to attend a meeting to face his creditors in order to offer some form of settlement. One of the problems faced by those in charge of a public house is that, like the term suggests, members of the public will walk through the front door. Good news if they are gracious and enter for social discourse over a nice tipple. On the other hand, from time-to-time an odious punter will cross the threshold. This appears to have been the case when, in April 1886, William Hurlstone, of Lapworth, described in court as "an old offender," was summoned for refusing to quit the Boot Inn. Mr. White, the landlord, said that Hurlstone was a quarrelsome man and a bad character, and he would not have him on premises. On the day in question, he told the magistrates, "Hurlstone came into his house and he ordered him out." The publican stated that "he refused to go and stayed for more than an hour, using bad language the whole of the time." He heard the defendant say "he had come for row and meant having one." Mr. White's servant gave similar evidence at the hearing. William Hurlstone was fined the full penalty, £5, and costs of 15s. 6d. The belligerent customer was also told that if he failed to pay the fine he would be sent to prison for two months. Another local publican landed himself in hot water during August 1886 after calling into the Boot Inn for a drink. John Taylor, landlord of the Elephant and Castle in Rowington was summoned for being in such a position while in charge of a cart that he could not have control over the horse drawing the same. P.C. James Ravenhall said that he was near the Boot Inn on 19th August, about 9.30 p.m.. when he saw the horse and trap. The publican was sitting in the trap but fast asleep. The reins were dragging under the horse's feet, and the near rein was unbuckled from the bridle. The policeman woke up the publican and saw that he had been drinking. John Taylor was fined £1, and costs of 13s. 6d. His intemperate drinking would eventually cost him the licence of the Elephant and Castle. Edward Greensted took over the licence of the Boot Inn at a time when there was an upsurge in social mobility. Hailing from Gillingham in Kent, he certainly brought a new disposition and character to the servery. The son of a dairyman, he moved to Kenilworth and married Rachel Elizabeth Gage in July 1882. She died in January 1885 at the age of 28. Whilst working as a coachman, Edward re-married in the following year to Emily Mills, the daughter of the tailor James Mills. In February 1887 the couple took over the Hare and Hounds in Regent Street at Leamington. 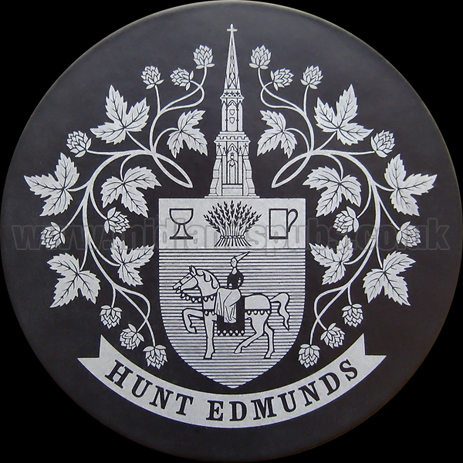 The couple were running that public house for Hunt Edmunds and Co. Ltd. of Banbury. This suggests to me that the brewery had leased the Boot Inn and that Edward and Emily Greensted underwent an inter-company move to Lapworth. 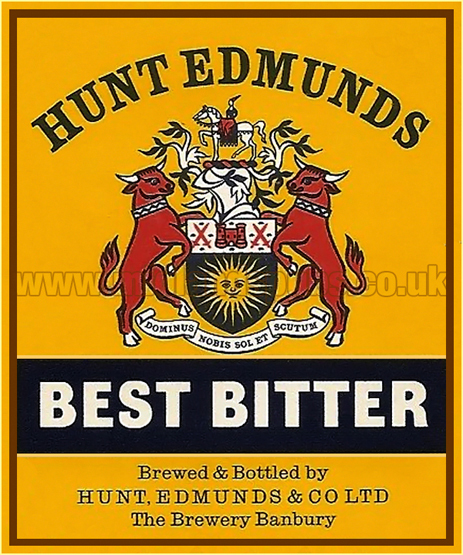 Certainly, Hunt Edmunds and Co. Ltd. acquired the freehold of the Boot Inn at the end of 1897. 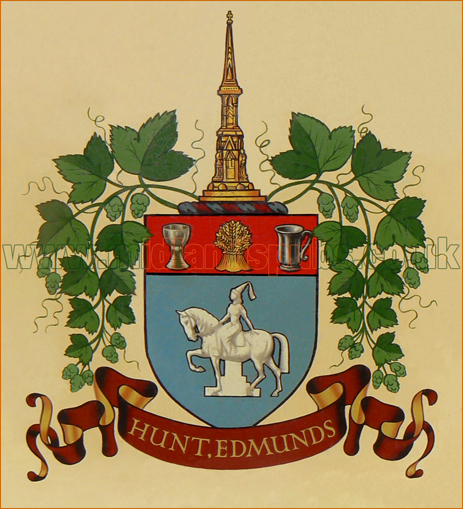 Hunt Edmunds and Co. Ltd acquired the Boot Inn from William Garrad of Kingswood Grange. It would seem that he had mopped up land in the village that he had made his home. The Nottinghamshire-born hardware merchant and brassfounder had made his pile in Birmingham where he was a director of Ingall, Parsons, Clive and Company Limited, a firm that had a number of manufacturing sites in Digbeth and Aston. Licensee Edward Greensted died at the Boot Inn on April 24th, 1900. Oddly, his will shows that the sole beneficiary in his will was his brother-in-law Luther Mills who, like his father, was a master tailor and clothier. Edward's wife Emily returned to Kenilworth with her children Nellie and Hilda and worked as a dressmaker. Following the death of Edward Greensted, Thomas and Clara Gater moved into the Boot Inn and remained for much of the Edwardian period. Through this couple I have perhaps discovered the secret of longevity. They declared themselves to be forty years-old in the census of 1901 and ten years later the enumerator recorded them again as forty year-olds! Actually, Clara Anne Adams, the daughter of a coal dealer, was 29 when she married 25 year-old labourer Thomas Gater in February 1883. The couple both lived in Steelhouse Lane in Birmingham at the time. I think the couple lived in Knowle prior to moving to Lapworth. When Thomas and Clara Gater gave up the Boot Inn they remained in the locality, moving to Harborough House from where Thomas made a living as a cab proprietor. The couple's daughter became a school teacher. At the Henley-in-Arden Petty Sessions held in May 1909 the licence of the Boot Inn was transferred from Thomas Gater to Herbert Chesshire. This brings us to the above photograph because this probably shows the Chesshire family on the doorstep of the pub. The woman in the apron could be Annie Chesshire, though the attire suggests it may be Annie Whitcomb, a servant employed by the family. The youngster is almost certainly Herbert Leonard Chesshire who was born in the pub during 1909. I am not sure if the buildings seen here were in use at this time. The lower addition to the Boot Inn remains in the 21st century and has been converted into a restaurant. The building on the right, possibly the old malthouse, has long gone. It looks wonderfully ramshackle in this image with a chicken running around the water pump which possibly served other residents in the locality in addition to the house. Herbert Chesshire was born in Hockley Heath in 1876. His parents, Thomas and Ann, had kept the Wharf Tavern for some years. Indeed, his father was recorded as a publican, farmer and coal dealer. The family would remain in the parish after their spell running the Boot Inn. They moved to a farm at Bushwood. In later years the couple lived at The Lodge of Cheswood Grange from where Thomas worked as a gardener. Living until 1961 he reached a ripe old age. Annie had passed away three years earlier. The next publican to run the Boot Inn was Nelson Cook who soon got into trouble with the local constable by letting his dog roam around the building and onto the road. In May 1914 he was summoned for "allowing his dog to be at large and not under proper control, on the Warwick Road" when Police Constable Letts was on patrol. The publican was fined fined 2s. 6d. On a more positive note Nelson Cook demonstrated that he knew how to keep pigs. In fact, he was probably responsible for the first annual general meeting of the Lapworth and District Live Stock Improvement Society being held at the Boot Inn in January 1916. 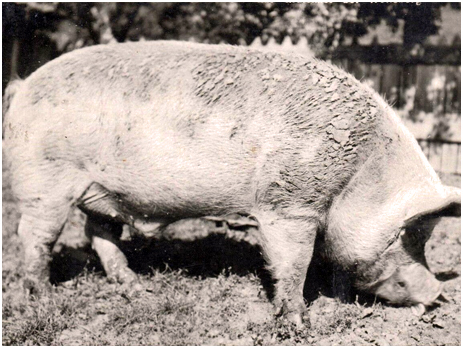 The object of the society was to encourage improvement in the breed of swine in the district, by the provision of a high-class boar, approved by the Board of Agriculture and Fisheries. At the meeting the secretary's report showed that the society's first year had been a success as they had been able to purchase their own boar "Knowsley Eye" from the noted Knowsley Home Farm. Their boar had a busy year serving 60 sows, some fine farrows of pigs being reported, with an average of about eleven pigs per sow. The Society were told that this reflected great credit to Nelson Cook, publican and custodian of the boar. The pub landlord had been complimented by the Live Stock Officer of the Board of Agriculture on the condition of his charge. Born in Evesham in 1870, Nelson Cook kept the Boot Inn with his wife Beatrice who hailed from Redditch. The couple had previously run the Bridge Inn at Offenham. In April 1921 Nelson Cook was summoned by the Solihull Board of Guardians for non-payment of the cost of maintenance of his son at Hatton Mental Hospital, which amounted to 31s. 6d. a week. He he offered 15s., and said "trade was very bad, and that he would like some of the gentlemen on the Bench to run a public house and see how they got on." An order was made for the full amount. By 1925 Nelson and Beatrice Cook had swapped rural life for a spell in the city as they were running the Rose and Crown in Vincent Street at Balsall Heath. 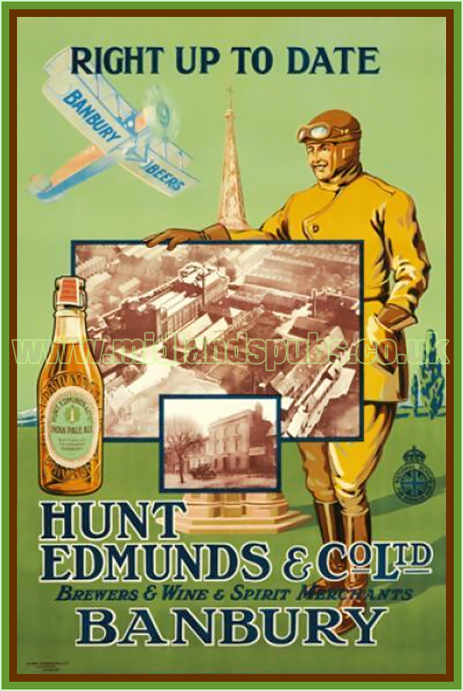 E. J. Mullard was the tenant of the Boot Inn when Hunt Edmunds and Co. Ltd advertised the sale of the house and associated land. 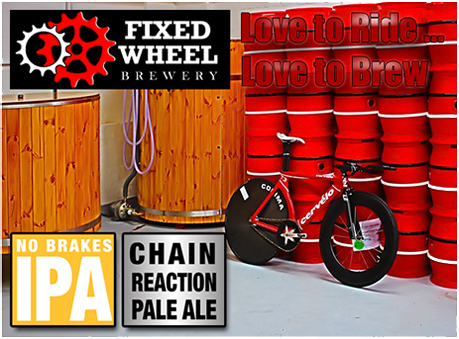 I am not sure why the brewery made the decision to relinquish their interest in the property. The location of the pub was not too difficult to service from their brewery in Banbury. It was stated by Nelson Cook that "trade was very bad" and it is true that commerce had declined amid an economy that was in recession. However, most company's rode the storm while they waited for an upturn in fortunes. 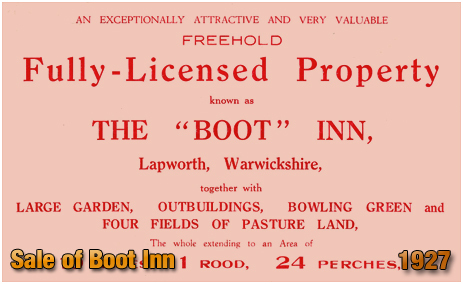 Held at the Grand Hotel at Birmingham on September 28th 1927, the auction sale of the Boot Inn was to include the public house, large garden, outbuildings, bowling green and four fields of pasture land. The pub and land were let to Mr. E. J. Mullard under two separate agreements. He was paying annual rent of £35 for the house and a further £25 for the land. This seems low by any standards. 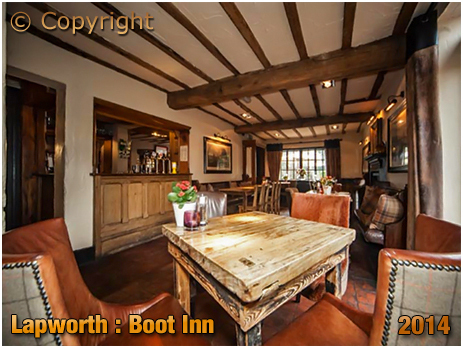 The sale particulars remarked that the Boot Inn was "really an excellent type of Country Roadside Inn, very conveniently situated within easy reach of Birmingham, Warwick, Coventry and other centres, and is, therefore, a popular Calling House. It is Official Quarters for the N.C.U., and is in a favourite district for Fishing Competitions. 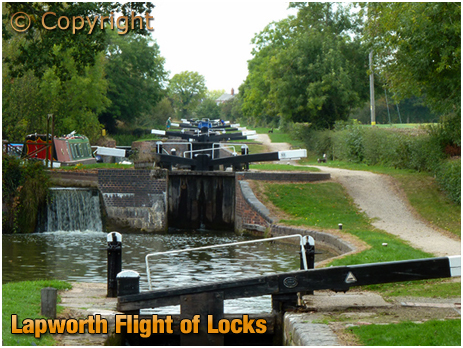 The Stratford-on-Avon Canal runs through the property, and Lapworth Station is only a short distance away. The whole property is one with great possibilities for development." The latter sentence suggests that it was perhaps being marketed to a brewery wishing to rebuild with a large roadside house. Thankfully, the economoc climate precluded such an outcome. The sale particulars provide an excellent description of the Boot Inn during the inter-war years, making it easy to envisage the public house in former times. On the ground floor of the pub there was a "central entrance passage, flagged and with an outdoor department; bar; tap room, with bay window; large and comfortable front smoke room, with well grate and beamed ceiling; back smoke room; kitchen, fitted with range; coalplace; scullery, with sink and washing boiler; dairy; and also a large assembly room. In the basement there is cellaring, including a large beer cellar with fall from the front. Outside there is a paved yard, with urinal and sanitary conveniences. The outbuildings are ample, brick and tile built, and include paved garage, stabling for four horses, stores, fowl houses, and two piggeries. There is an excellent flower and vegetable garden extending along the road frontage, and there is a bowling green at the rear." Oh, I must mention that the Boot Inn also had a Quoits Club. I saw an item from 1920 which detailed F. Sharman of Kingswood as the secretary. The particulars also detailed the pasture land which comprised of "two small fields immediately adjoining at the rear of the house, and two further fields on the opposite side of the Stratford-on-Avon Canal." The two latter fields were sub-let by Mr. Mullard. The sale no doubt attracted the attention of the Birmingham breweries but the Boot Inn was seemingly irresistible to Flower and Sons Ltd. The Stratford-on-Avon-based brewery paid £3,750 for the Boot Inn. The Boot Inn can be seen here in the livery of Flower and Sons Ltd. in a postcard photograph dating from the 1930s. The wall of the garden was replaced by a white picket fence, a boot within what looks like a buoy hangs as an inn sign, plants have been cultivated on the frontage and things are looking tidy. The brewery and tenant are playing to the strengths of the house and advertising teas and luncheons. A wooden stepped entrance had been created in the former farm buildings or malthouse, creating more space for the public to sit inside. Arthur Morris was the publican during the Second World War. Born in Birmingham in May 1887, he spent his formative years at Ladywood in a back-to-back house in Icknield Street. His father worked as a blacksmith and his mother toiled in a metal works as a burnisher. Arthur Morris was sent out to earn money by the time he was 13 and worked as a jeweller's swivel maker. He married dressmaker Alice Emily Clancey when he was a serving solider just after the First World War. The couple tied the knot at Southwell in London in December 1918. Arthur and Alice moved to Birmingham and were soon running pubs. By 1920, the year in which they had a daughter named Joan, they were running the Engine Tavern on Great Hampton Row. In 1930 the couple were running the Cottage of Content on Kyrwick's Lane in Sparkbrook. Five years later Arthur and Alice were in charge of the Woolpack Hotel, an Ansell's pub on Summer Lane in Aston Newtown. Taking on a tenancy of the Boot Inn for Flower's was a real breath of fresh air for the Morris family. Daughter Joan worked as a shorthand typist so may have had to commute into Birmingham during the week. The couple also had a son named Doug. Arthur and Alice Morris must have made a real go of it in Lapworth because when Arthur died in 1955 he left £4,116 in his will. In her latter years, Alice Morris lived at Alyson, a residence in Station Lane where she died suddenly in 1958. The Allen family were running the Boot Inn during the early 1960s. The landlady sounds like she was a flamboyant personality. In October 1964 the Coventry Evening Telegraph reported that "Customers at the Boot Inn, Lapworth, will tonight be able to see the licensee, Mrs. Eileen Allen, in a different role - as a fashion model. Mrs. Allen will be taking part in a fashion show at the Inn being staged by Miss Elizabeth Rutherford on behalf of Lapworth Women Conservatives. Modelling, however, is not new to Mrs. Allen who has taken part in dress shows for some years, often with her mother, Mrs. Patricia Mitchell, who helps her run The Boot. Tonight's show will be a repeat of one that was being held this afternoon." In the same month, October 1964, the licensee's husband, Peter Allen, was detained in hospital with serious injuries following a road accident at Hatton. He was driving a mini car when he was involved in a collision with a Jaguar driven by Mr. Arthur Philip Connolly of Hockley Heath. An ambulance took him to Warwick Hospital with a suspected fractured skull, rib injuries and lacerations to the face. Mr. Connolly was uninjured, but two passengers, Mr. William Clarke and his wife Daphne, of Barnt Green, were taken to Warwick Hospital for treatment. In the following year son, the couple's son, also named Peter, was fined £25 and disqualified from driving for a year after being found guilty by Warwick Magistrates of dangerous driving. Peter Allen channelled his love of speed into motorcycle drag racing. Between helping his mother run the Boot Inn, the 19 year-old designed and built a twin-engined Triumph motorcycle with David Hirons, a friend and civil engineer living at nearby Rowington. It took them about five months to build the two-wheeled beast and they soon clocked up 157.48 m.p.h. at Santa Pod Raceway with a gear to spare. Their aim was to beat 9 seconds for the quarter-mile run by using nitro-methane fuel which, at the time, was an eye-popping £4.40p per litre [around £56 today], along with breaking the 200 m.p.h. barrier. Apparently, the two young men only realised their bike build dream after a chance conversation in the pub. Peter and David were talking about the drag bike they would like to build if they had the money and they got into conversation with the man standing next to them. He was Francis Lock of Sutton Coldfield and he was so taken with their enthusiasm that the offered to sponsor them. 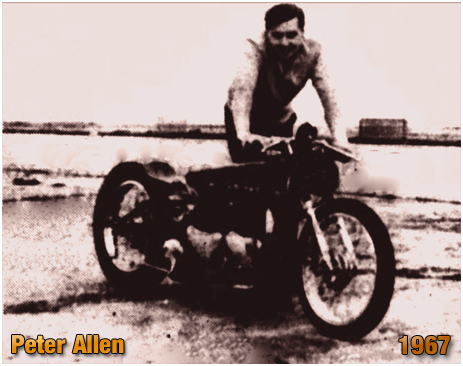 Peter Allen, along with the twin-engined Triumph, emigrated to Australia. Racing as Pommie Peter Allen, he became a star of the track and something of a legend with race fans. He is noted for making a 7.85 pass at 194.43 mph, at Heathcote Park, Victoria on May 4, 1986, the first 7 second motorcycle in Australia. If anybody knows more about the Boot Inn, particularly the more recent decades please send a message to me and I will post it here to bring the story up to date. I have seen a photograph of the Boot Inn with the livery of Whitbread. Flower and Sons Ltd, owners of the Boot Inn, were acquired by J. W. Green Ltd of Luton in 1954. 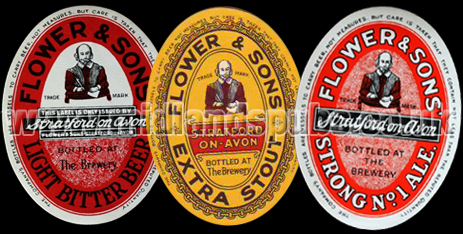 A form of Flower's ales were available for a few years even after the Bedfordshire firm were taken over by Whitbread in 1961. 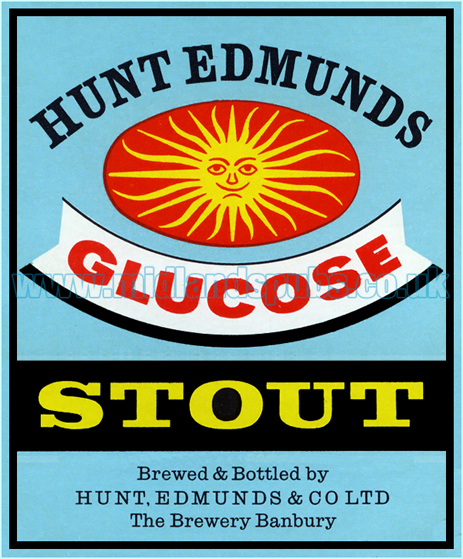 However, Flower's Brewery was closed in 1968 and production transferred to Whitbread's Cheltenham Brewery so the character of the Boot's beers would have changed significantly. All I can add here is that in the 21st century the Boot Inn forms part of a small pub company called Lovely Pubs. 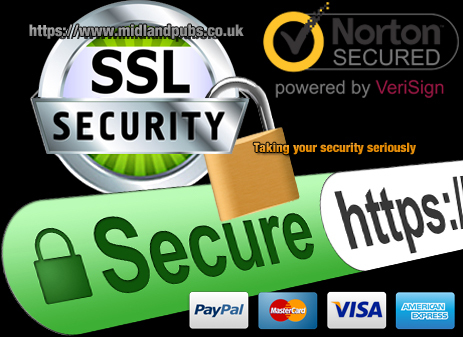 The company operates a number of pubs and venues in the local region, including the Orange Tree at Chadwick End and the Queen's Head at Stoke Pound. Under this firm's umbrella, the Boot Inn is a highly popular pub and restaurant where some elements of pub tradition are combined with a higher level of food offering. The subterannean kitchen areas are a sight to behold as a team of chefs manage to pull out the stops in what is a challenging work environment. I have been down there and always bang my blinkin' head as the ceilings are so low. "Mr. William B. Reeves, hat manufacturer, of Bull Street, etc., on Wednesday closed his establishments [seven in number] in order to give his employees, upwards of 50, a day's outing in the shape of picnic. Wagonettes were provided to convey the party to the Boot, Lapworth, the company arriving there about eleven o'clock, in time for luncheon, after which they adjourned to the field adjacent, where ample amusements were provided till dinner was announced, which was served up in the most sumptuous manner by the worthy host and hostess, Mr. and Mrs. Buckley. Mr. Reeves acted as chairman, and Mr. Friend vice, and the cloth being drawn, and the usual toasts of the day given, they again adjourned to the field sports, which were most heartily enjoyed by all till summoned to tea. After a few more hours' recreation they wended their way back to town, spending one of the most pleasant days conceivable. The Prince of Wales Band was in attendance, and played some choice selections, which added greatly to the pleasures of the day." "At the Henley-in-Arden Police Court, on Wednesday last, William Sherriff, Leicester; Alfred Greenfield, beer house-keeper, Livery Street, Birmingham; William Price, beer house-keeper, Palmer Street, Birmingham; Joseph Breeze, Birmingham; William Hitchen, licensed victualler, Birmingham; Thomas Nicholls, licensed victualler, the Boot Inn, Lapworth; Edward Gold, William Wyatt, Charles Pinner, and William Hulston, of Lapworth, were summoned for committing a breach of the peace by engaging in a prize fight at Lapworth, on Dec. 17th. Police Constable Goode said he received information that a fight was to take place on the following morning. He obtained the assistance of another officer, and went to Shirley, to ascertain where the principals were likely to go to. About seven o'clock in the morning some vehicles were passing Shirley, and he heard one of the drivers enquire the way to Lapworth. Witness followed the vehicles, and came with them about twenty minutes to nine o'clock at a field occupied by Mr. Lord, near the Boot Inn, at Lapworth. A ring was formed, and inside were the principals - the defendant Sherriff and Denny Harrington of London - and the four seconds. The gloves were also there. Witness and the other officer tried to get into the ring, but were prevented, some of the spectators saying that it was a legal affair, under the Marquis of Queensberry's rules. Finding it was useless to attempt to stop the fight, witness did his best to obtain the names of the principal people. About quarter of an hour after the fight commenced Superintendent Yardley and three other officers came up, and they tried to effect an entrance into the ring. The fight proceeded, but when the Londoner was "beaten out of time," his friends gave way, and the police went into the ring. This was after several rounds had been fought with gloves. When witness and the other officers got inside the ring the people dispersed and the officers took possession of the ropes and stakes. One of the men fighting had a slight cut on the right ear. There were 200 or 300 people present, and the police force was not sufficiently strong enough to apprehend any of the men. After the fight the men went to the Boot Inn, and remained about an hour. They then proceeded to Marston Green. By the defendant Price : The gloves produced were similar to those used in the fight. Superintendent Yardley said we found William Sheriff and "Denny" Harrington fighting, with gloves on and stripped to the waist. They were fighting in a ring formed by two rows of cords, and carefully put down. Greenfield and Price were in a corner acting as seconds to Sherriff. Breeze and Hitchens were amongst the spectators, but he could not recognise the other defendants, with the exception of Nicholls, whom he saw by the side of the ring. The spectators said everything was legal, and under the Marquis of Queensberry's rules; but witness explained to as many people as could hear him that it was illegal, and a case in point had been proved illegal at Leicester. After that about three more rounds were fought, and Harrington, who appeared to be very exhausted, had his left eye nearly closed, the skin was knocked off his left shoulder, and his left ear was much swollen. The punishment appeared to witness equal to that caused by the naked fist from the sound of the blows. Each round lasted three minutes, unless the man was knocked down. About three rounds were fought after witness arrived, and then a cry was raised that the London man was being killed. An opening was made into the ring, and witness and the other officers entered. The ring was then broken up and the people dispersed. Witness tried to apprehend Sherriff, but the people prevented him, and the defendant got away. The majority of the people present at the fight were Birmingham, London, and Leicester men. Police Sergeant Hunt and Police Constable Painter confirmed the evidence given by the other officers. The defendant Sherriff denied that Greenfield was one of his seconds, or one of Harrington's. He was not in the ring during the fight, and the seconds were obliged also to leave the ring during each round. In reply to Superintendent Simmons, defendant also said that he was trained by Greenfield, but the latter did not stay with him for a few days at the Boot Inn. He inserted a paragraph in the Sporting Life thanking Mr. and Mrs. Nicholls, of the Boot, for their kindness to him during the few days he stayed at their house. Greenfield said the contest was similar to the contests that took place in all parts of the kingdom. He had boxed in London, at the Chelsea Gymnasium and the Lambeth Baths, and at other places, when some of the highest people in the land were present. On the last occasion thirty police were engaged to keep the thoroughfare clear for carriages containing noblemen and gentlemen who desired to see the fight. The fight then was carried on in the same manner as on the occasion at Lapworth - under the Marquis of Queensberry's rules, which stated that the gloves were "to be fair-sized boxing gloves of the best quality, and new." The fight was for endurance only and as such was allowed under the Marquis of Queensberry's rules all over the country. Superintendent Simmons asked Greenfield and Sherriff if "Tug" Wilson was one of the seconds of Sherriff, but they refused to answer. The defendant Price pointed out that the gloves produced were used by the winner Sherriff, and were not damaged to the extent that they would have been had the fight been an ordinary prize-fight. The defendant Nicholls said that Sherriff and one of his seconds went to his house a few days before the fight and engaged beds. He did not know who they were, and did not know their business until the morning of the fight. He always kept plenty of food in the house, as he kept a lodging-house, and was frequently called upon to supply travellers. The other defendants admitted being at the fight. The magistrates bound over the defendants Sherriff, Greenfield, Price, Breeze, Hitchin, and Nicholls their own recognisances of £50 each to keep the peace. The defendants Gold, Wyatt, Pinner and Hulstone were cautioned, and discharged." "At the Swan Hotel Assembly Room on Monday last, before Messrs. D. Galton and T. H. G. Newton. John Stamford, electrician, 304, Adderley Road, Saltley, was brought up on remand charged with unlawfully and maliciously wounding with a pistol, James Knatress, on the highway in the pariah of Tanworth, on the 12th inst., with intent to do him some grievous bodily harm. Defendant was defended Mr. Whitlock, of Birmingham. James Knatress, sworn, said he was a gardener at Solihull, and on the 12th was walking along the Stratford Road, Monkspath, on the right-hand side of the road, and hearing a vehicle coming turned to look for it, when he heard a report and received something in his left leg. He shouted, and the people in the brake began to laugh. He pulled up his trousers and found that he was wounded in the leg. He sat down and fainted, being afterwards taken home in a trap from the Crown at Monkspath. The stocking [produced] with the hole in it and the blood on it, was the one he was wearing on the occasion. Joseph Charles Winkett, omnibus inspector, said on the morning in question about 7.10 a.m. he was driving a conveyance to the Boot Inn, at Lapworth, and noted that the defendant had a pistol in his possession, similar to the one produced. About 400 yards on the other side of Shirley coming this way defendant fired the pistol in the air. Witness advised him to put it up. He afterwards fired at a bird in the hedge before reaching the Boot Inn. They left that place to return to town 11.30 a.m. and when going along the road, there was gentleman reading a newspaper walking quietly along. One of the passengers said "lend me that pistol Jack and see me frighten this bloke." Witness heard the report of a pistol and was in the act of pulling up at the time. He had 26 passengers on the conveyance. Defendant was the man who had the pistol, and was sitting next but one to witness on the left-hand side. He could not say that he saw the prisoner hand the pistol to another man. Edward Ferdinand Page said he was a medical man, and on Sunday, the 12th inst., he examined Mr. Knatress, whom he found somewhat collapsed and complaining of great pain in his leg. He examined the wound and came to the conclusion that it was produced by a bullet. It was the left leg, and he had not been able to extract the bullet. He had probed for it three inches, and could not get it out. P.C. Ravenhall said he charged the prisoner with wounding Knatress with a pistol. Prisoner replied, "It is a bad job. I must have been a fool to take it out with me." A short time after prisoner said to witness, "he did not think that he had hit the old man; there were others firing as well as he." For the defence, Charles Amery said he was one of the party on the day in question. He saw the old man walking along the road, and heard the report of a pistol from the body of the vehicle. It was not fired by Stamford, but the pistol was immediately afterwards handed back to Stamford by a hand that came over his shoulder. James Cooper, another of the party, said the report came from the back, and not from the direction in which the prisoner was sitting. Prisoner was committed to take his trial at the ensuing Assizes at Warwick, being admitted to bail in two sums of £50 each, and himself in the aum of £100. The case created much interest and lasted a long time." "A Man Shot By An Excursionist"
"At Solihull Police Court Saturday, before Messrs. Everitt, Townshend, and Dr. Kimball, a charge of assembling with others and disturbing the peace in the parish of Sheldon was preferred against Alfred Greenfield and William Price of Birmingham, both well known in local sporting circles. It was alleged that they were "seconds" in a recent prize-fight on the 17th December, reported at that time. On hearing the charge Greenfield said it was "right enough," they were both there. Both defendants then pleaded guilty. Superintendent Yardley said the defendants were with others at Lapworth on the morning in question. The police broke up a ring which was formed there for prize fight; and the men then went elsewhere. The police followed them and broke up a second ring, upon which a general disturbance took place. These defendants went in right and left amongst different people, and several persons were knocked down and kicked most fearfully. Witness did not, however, see the defendants kick anybody. Price: You [the Superintendent] didn't get insulted - nor any of your friends? - Yardley: No. Price: We took very strict precautions to prevent anything of that. Greenfield: If anybody had interfered with you people we should have been the first to have taken your part; Yardley: I dare say you would. In answer to the Bench the Superintendent said he was certain the defendants struck several people. They were "seconds" to one the combatants, who would have won if the fight had been allowed to end. Greenfield: Me a second, sir? I was a spectator. Price said the fact was there had been a fight at the Boot, Lapworth, and he was a second to one of the fighters who would undoubtedly have won. It was a very easy victory, certainly - the Bench knew what "sport" was - but before they reached the second place to which the referee ordered them, the losing party engaged a lot of "roughs" to try to stop the proceedings and prevent the fight being settled. These roughs began knocking about, and he and his companion took their own defence, but as for rioting, there was no need of it; they merely wanted a fair stand up fight to finish it. The Bench said they would let the defendants off very easily, but they enjoined them not to get into these "scrimmages." They would be bound over in £10 each to keep the peace for three months." "On Monday evening, a well-attended meeting of the Ferrers Habitation was held at the Boot Inn, Lapworth, presided over by Mr. R. Ramsden [Ruling Councillor] who proposed a resolution expressing confidence in the Government, and pledging the meeting to support the Unionist party. He referred to the Transvaal, pointing out that Mr. Chamberlain had acted an honest and patriotic part in respect of the difficulties. Speaking of the Education Bill, he said it was very hard that a man should have to pay towards the maintenance of voluntary schools, and also a School Board rate; but he believed the bill would in great measure do away with that, and that the voluntary schools would get a new lease of life. The resolution was seconded by Mr. A. W. Freeman, and carried unanimously." "Mr. S. A. Chesshire presided at the first annual gathering of the Lapworth and District Pig Feeders' Association, which was held at the Boot Inn on Wednesday evening last week. An excellent repast was provided by Host and Hostess Chesshire. The Hon. Secretary [Mr. E. Skinner] was the recipient of a suitable acknowledgment of his services during the past year, for which he suitably returned thanks. The statement of accounts showed that tbe income amounted to £17 19s. 8d., and the expenditure to £9 13s. 5d., leaving a balance in hand of £8 6s. 3d. Mr. S. A. Chesshire was unanimously elected President, his efforts to promote tbe welfare of the Society having proved very successful. Messrs. W. Billing, T. F. Smith, and H. Whittell, were elected Vice-Presidents, Messrs. J. Hunscote and A. Billing were re-elected valuers, Mr. Herbert Chesshire was re-appointed treasurer, and Mr. E. Skinner hon. secretary. Messrs. F. Cox, F. W. Kirby, A. Miles, F. Hewitt, H. West, W. Bellamy, and J. Arthurs were chosen as members of the committee. The contributors to the harmony of a very pleasant evening included Messrs. S. A. Chesshire, A. Bishop, H. Chesshire, J. Hodges, A. Miles, H. West, W. Waters, W. Hughes, etc. The usual toasts were duly honoured, the sentiments of "The Chairman" and "Host and Hostess" being received with musical honours." 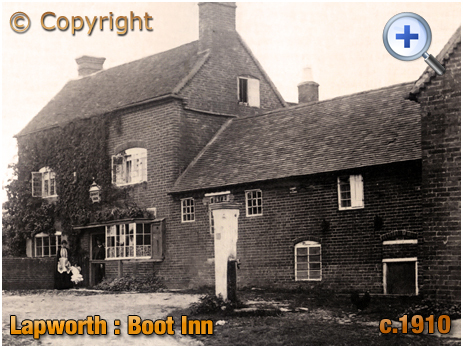 If you have a genealogy story or query regarding the Boot Inn you can contact me and I will post it here in addition to including your message within the website pages for Warwickshire Genealogy. 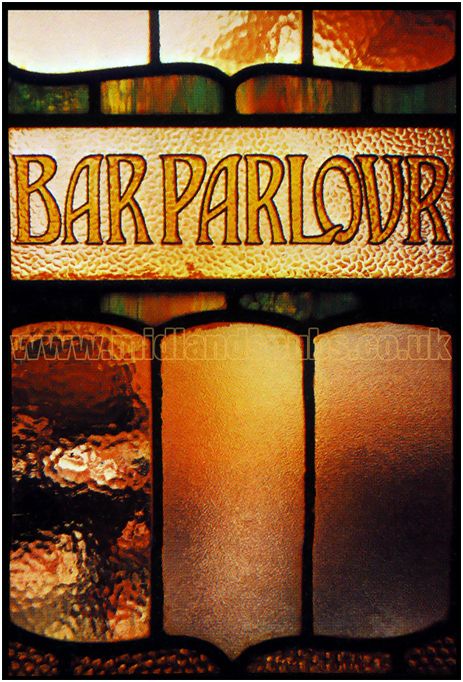 If you would like to share any further information on this pub - perhaps you drank here in the past? Or maybe knew a previous publican? Whatever the reason it would be great to hear of your stories or gossip. Simply send a message and I will post it here.